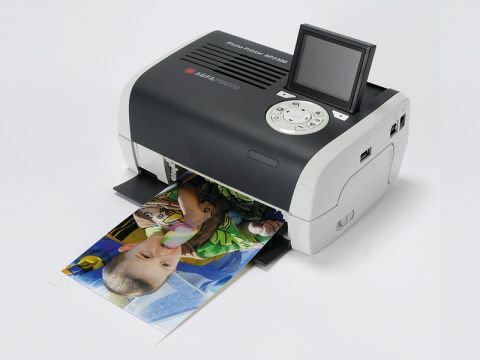 The AgfaPhoto AP2300 is sold in Argos stores and is a cheap dye-sub printer. It's well specified, supporting all four of the main memory card formats currently in use, together with PictBridge printing. It can also fix red-eye, enhance colour, contrast, brightness and sharpness and apply a small range of special effects and photo frames. The AP2300 isn't particularly quiet, but the print times are good - our test photos appeared in 65 seconds, just five seconds more than the time claimed. This might be a cheap dye-sub, but it stood up pretty well against the rest in our tests. The colours in both the portrait shot and the landscape were accurate and the saturation was reasonable, too. Our portrait subject's skintones looked a little flat, though, and there was perhaps fractionally less 'bite' in the fine detail compared with the rest. The differences, though, were small.